Okay, seriously, these nature wands for outdoor play are so adorable. 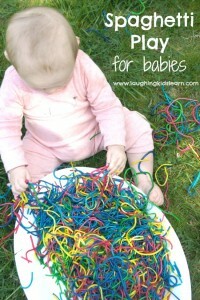 They are also so simple and fun to for children to make. They can make them from anything they find in their own backyard and it is an activity that really can be done at any time of the year. 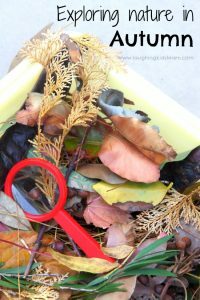 What a wonderful way to have children look closely at their natural surroundings and include them during imaginary play. 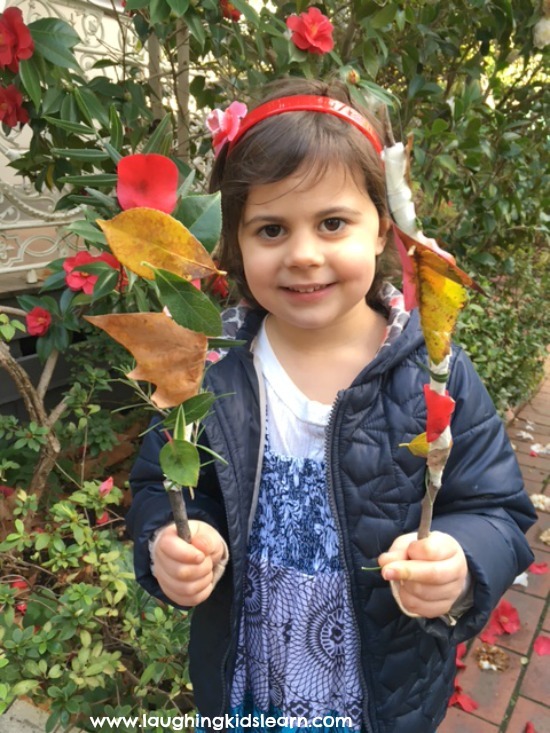 No matter what your child’s interests are, be it fairies, wizards or characters like Elsa from Frozen, they will love being able to personalise their very own wand using pieces of nature that they find around their own environment. It really is very simple. Both my girls, Possum (aged 4 years) and Boo (aged 1) went outside and together we looked for sticks that we could use as wands. Obviously my 1 year old isn’t exactly aware of what we were doing, however, she enjoyed the opportunity to get outdoors and pick up pieces and inspect them thoroughly. 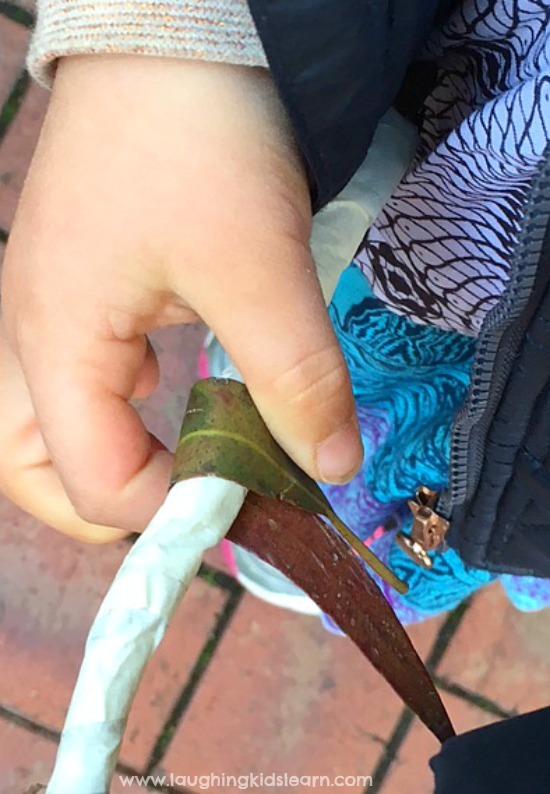 Once we found some suitable stick wands I assisted Possum (aged 4 years) to wind some masking tape around it, ensuring the sticky side was exposed. I left part of the stick, which would act as the handle and not have anything stuck to it. Keep in mind, the masking tape does not have to look perfect once wound onto the stick. 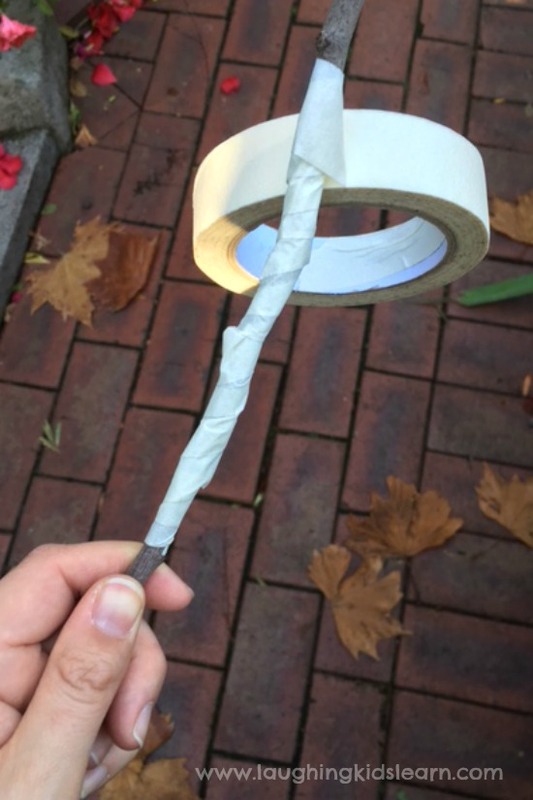 Once our wands had enough tape wrapped around them we were able to begin collecting interesting pieces of nature from our yard and pressing them to the exposed masking tape. It’s Autumn where we are and so there were plenty of beautifully coloured Autumn leaves, however, Possum also found lots of lovely fallen flowers that had dropped off because of recent rain and decided to include them. She did discover that the water impacted on how it stuck to the tape so she was able to problem solve and dry each piece before adding it easily. I’m sure you’ll agree that the results of our nature wands are spectacular! Possum had a wonderful time playing with them and using them during imaginary play. She seemed to thoroughly enjoy using her wand to make plants grow. Adorable. 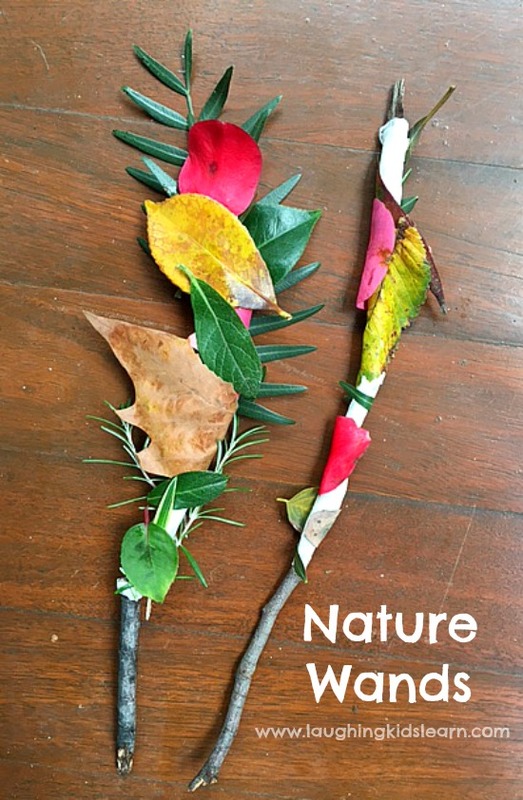 This nature wands activity is so lovely to do with the children and at any time of the year. It would be interesting to have children photograph their wands and compare them throughout the seasons. 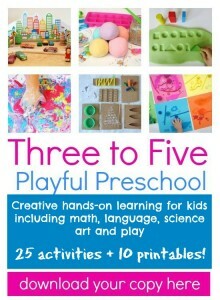 What season are you in at the moment and would your child enjoy this activity? Thank you so kindly Lauren! I couldn’t help but giggle at your ‘sword’ comment. Hopefully it looks a little less dangerous with your collection of nature pieces stuck to it. Lol Appreciate your comment lovely. I love these Kate! 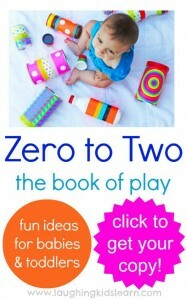 I’ve been looking for a simple, low cost and fun activity for an event, and I think this is it!! These are a fabulous idea and I love that they are so simple, I know lots of kids who will adore these! what a wonderful idea! I know my 5 y o boy would LOVE to do this – he’s right into collecting sticks and natural treasures… and pretend play! Thanks! !